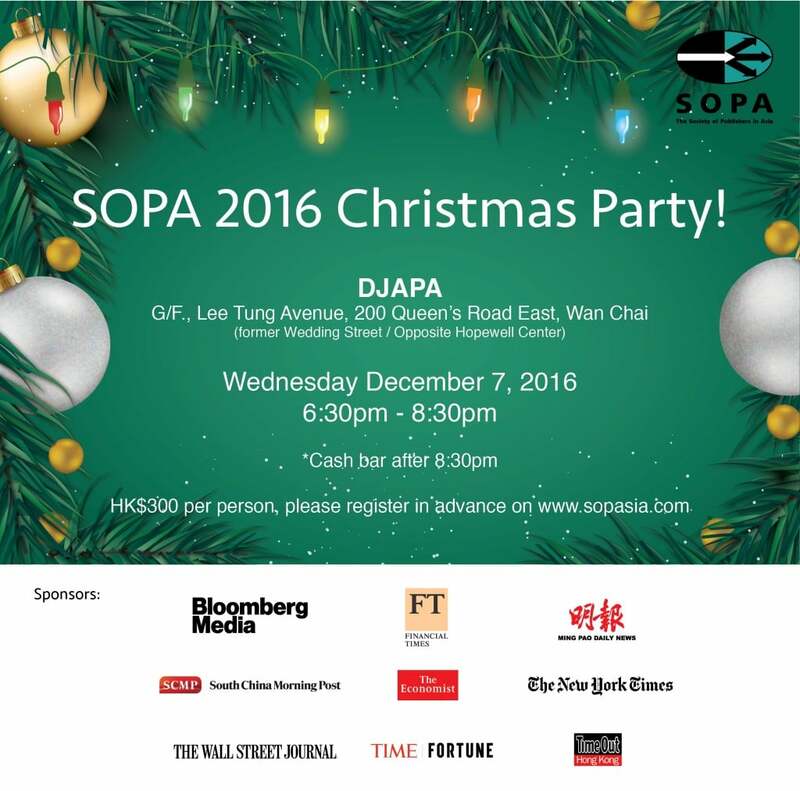 Save the Date: SOPA year-end Christmas cocktail on Wednesday, December 7. HK$300 per person. Please register in advance here.